Asialink, in collaboration with the Australian Department of Foreign Affairs and Trade, facilitated a capacity-building seminar for the Myanmar Government as part of Australia’s assistance package for Myanmar’s chairmanship of ASEAN in 2014. 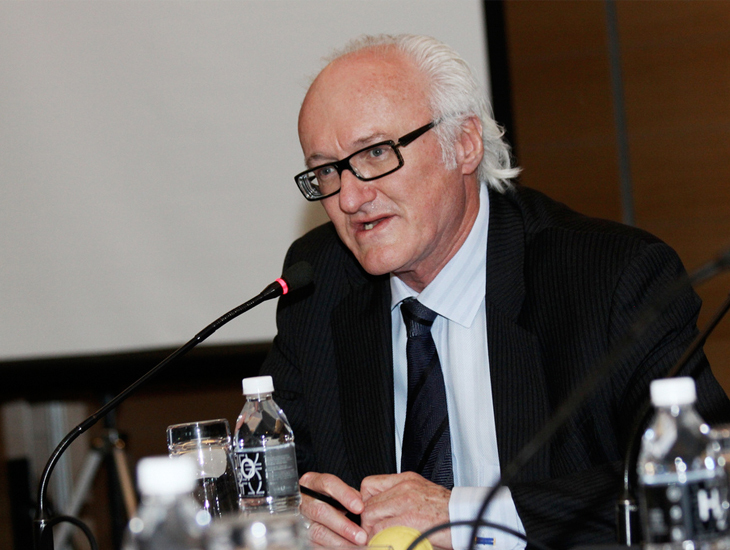 The one-day seminar, facilitated by Australia’s former High Commissioner to Malaysia, Miles Kupa, was designed to generate policy ideas for the East Asia Summit and explore how the EAS might deliver on its potential and ASEAN’s role in achieving this. Dialogue was guided and led by senior ASEAN experts who travelled to Naypyitaw from around the region, including from the Philippines, Vietnam, Malaysia, Indonesia and Singapore. Discussion covered issues of “ASEAN centrality” as well as maritime security and in particular the current thinking around the South China Sea; small states and the “deficit of strategic trust” between major powers; economic challenges for the “Asian 16” and how ASEAN and the EAS could help; institution-building; Myanmar’s approach to chairing ASEAN and the EAS and its comparative advantage in undertaking this role; and how other nations can assist Myanmar. Mr Kupa and the ASEAN experts were joined by Gillian Bird, Australia’s Deputy Secretary to DFAT, Bronte Moules, Australia’s Ambassador to Myanmar, and Simon Merrifield, Australia’s first resident Ambassador to ASEAN. The seminar was attended by senior officials from the Myanmar’s Ministry of Foreign Affairs and other ministries. Myanmar’s Director-General to ASEAN set the scene and provided other substantive remarks. Bruneian and Malaysian officials also attended.